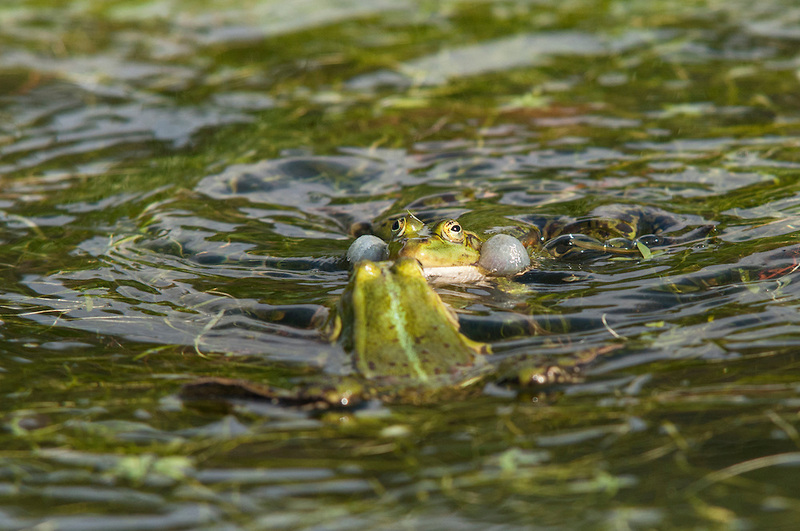 Excited edible frogs (Pelophylax kl. esculentus) getting into mating season. Ätlig groda.